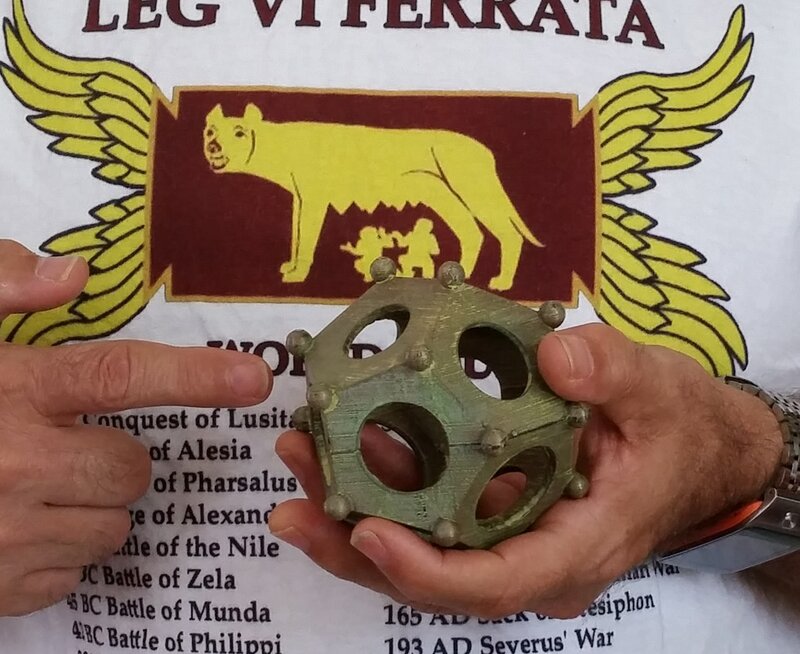 About 100 bronze Roman dodecahedrons have been found in locations shown on the map below, ranging from 4 to 11 cm in size, and dating to the 2nd c. AD. Nobody knows what they were used for. Speculated uses include candlestick holders (wax was found inside two examples); dice; survey instruments for estimating distances to (or sizes of) distant objects; devices for determining the optimal sowing date for winter grain; gauges to calibrate water pipes, weapons or army standard bases; thread holder for knitting gloves; religious artifacts, fortune telling devices, or just purely decorative. Several dodecahedra were found in coin hoards, providing evidence that their owners considered them valuable objects.